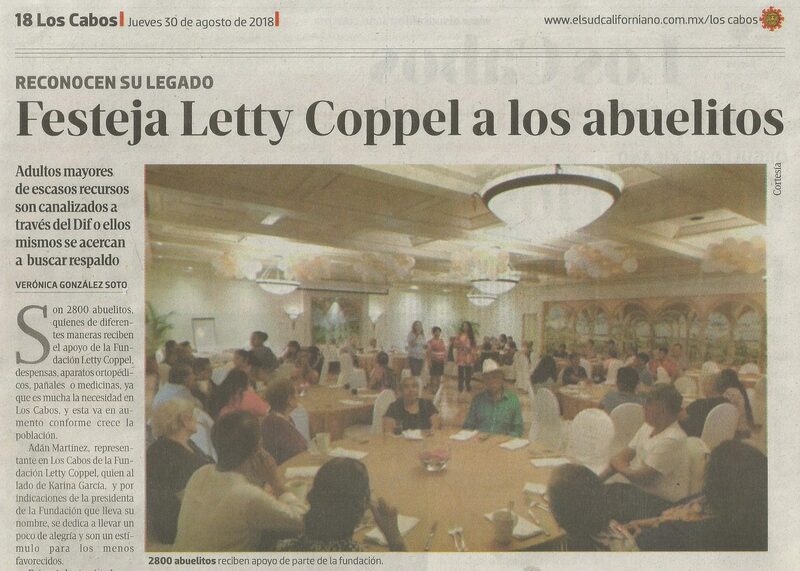 Letty Coppel Foundation celebrates Grandparents’ Day. 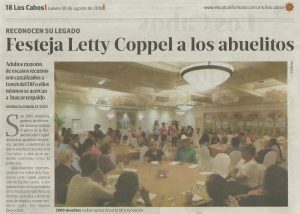 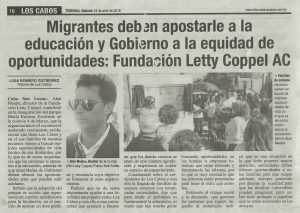 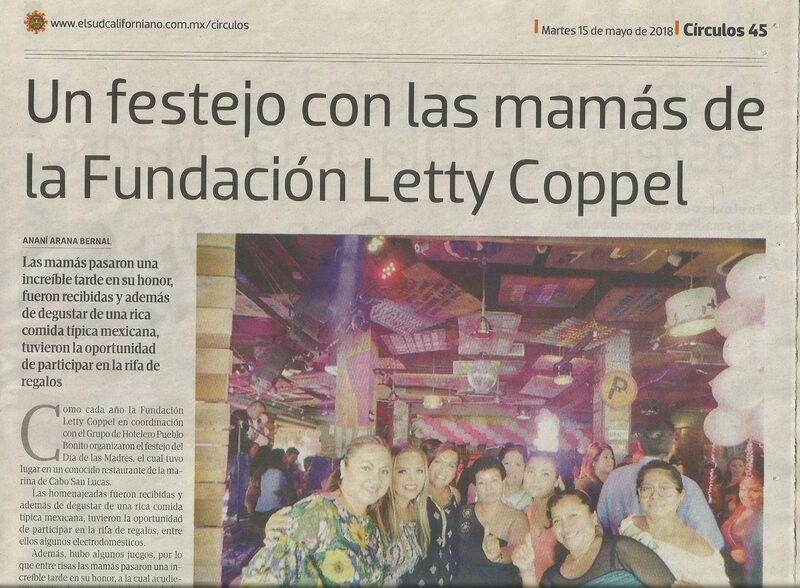 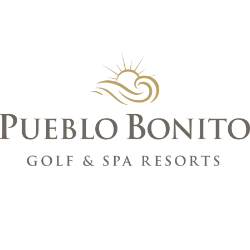 Posted by admin in Newspaper archive Los Cabos on Aug 29th, 2018 | Comments Off on Letty Coppel Foundation celebrates Grandparents’ Day. 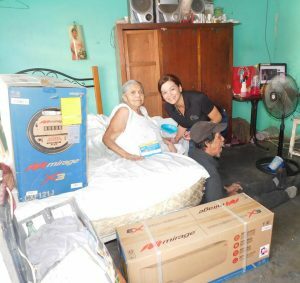 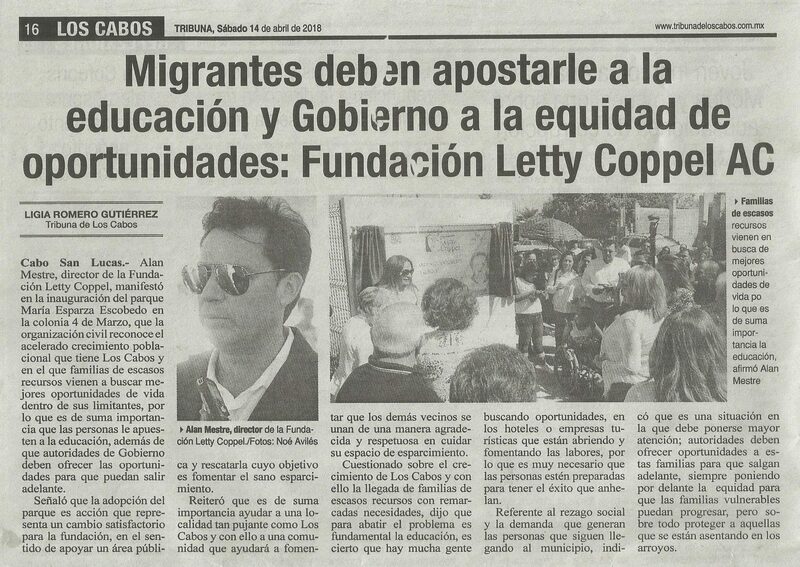 This was a special case for the foundation, Mrs. Maria Nevarez has two children with cerebral palsy and during summer had suffer heat stroke and considering their situation it is harder to carry on, that is why Letty Coppel Foundation donated a mini split, we hope now they will not suffer during hot weather. 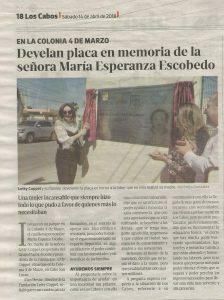 Mrs. Maria Esparza Escobedo park inauguration in memory of Mrs. Maria Esparza Escobedo, the Letty Coppel Foundation founder. 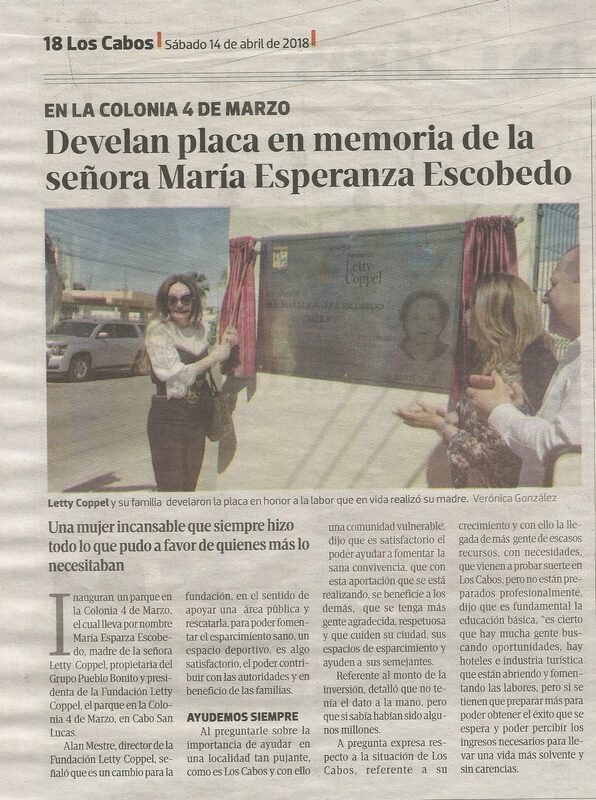 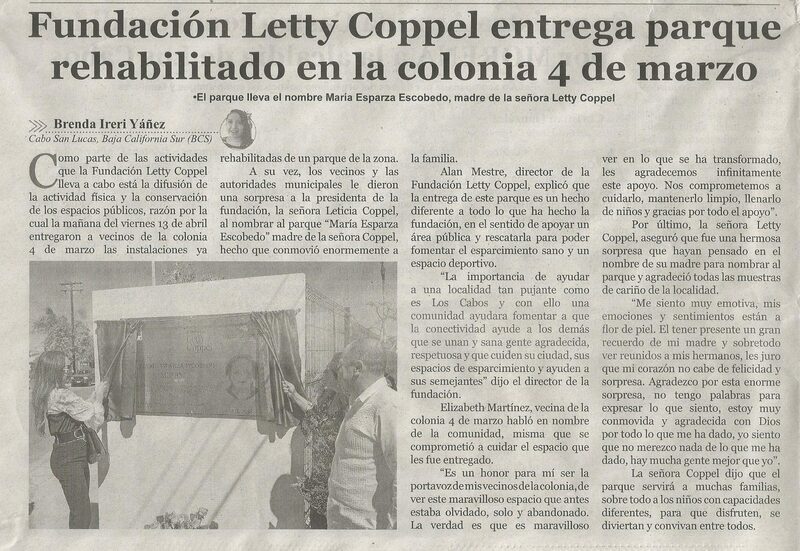 Posted by admin in Newspaper archive Los Cabos on Apr 14th, 2018 | Comments Off on Mrs. Maria Esparza Escobedo park inauguration in memory of Mrs. Maria Esparza Escobedo, the Letty Coppel Foundation founder. 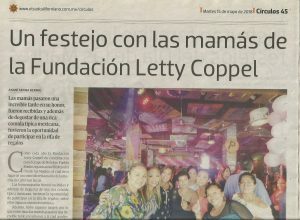 Letty Coppel Foundation increase grants for children with cáncer. 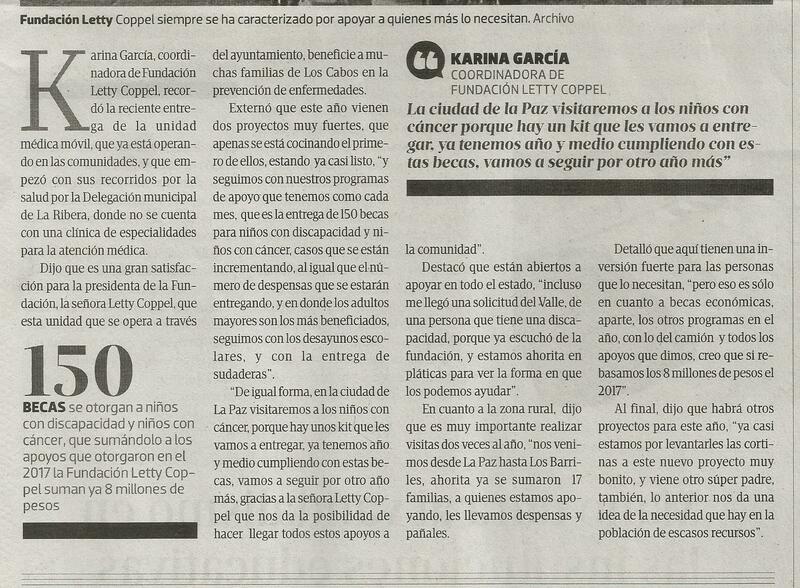 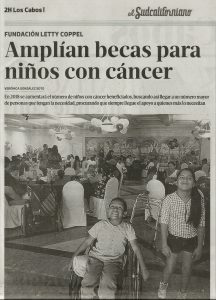 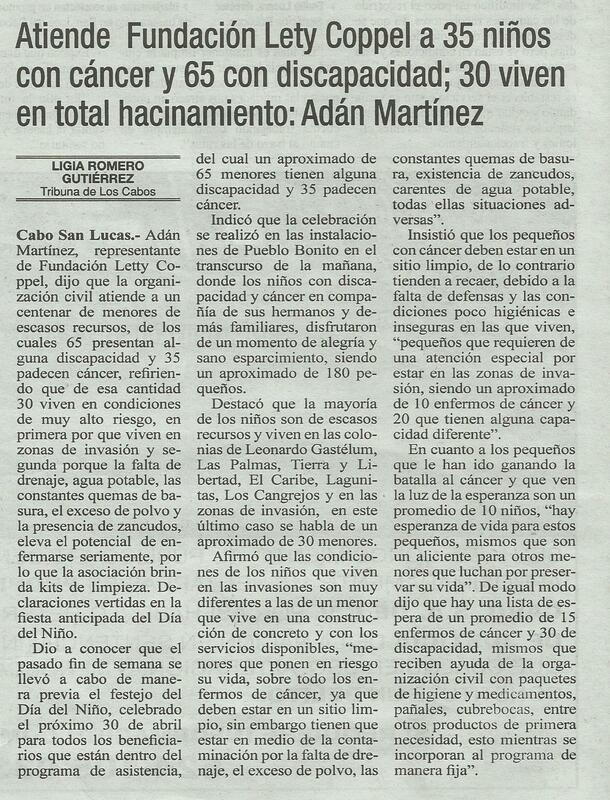 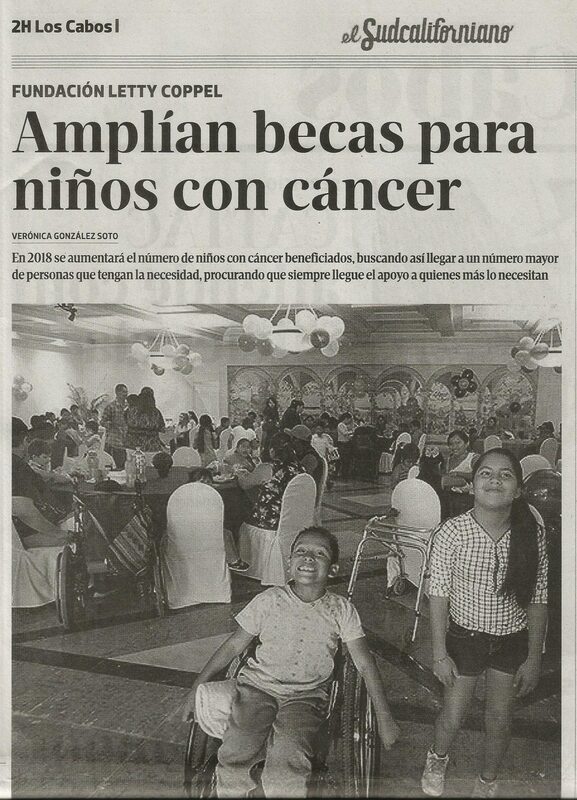 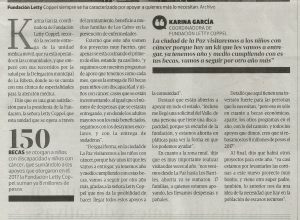 Posted by admin in Newspaper archive Los Cabos on Feb 15th, 2018 | Comments Off on Letty Coppel Foundation increase grants for children with cáncer. 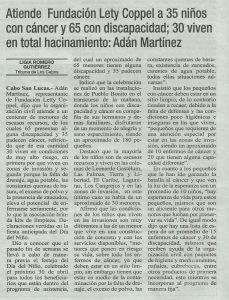 Mobile Medical Unit, lent to Los Cabos local Government. 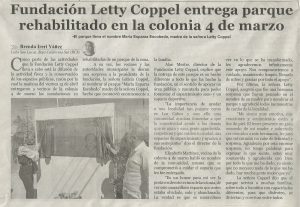 Posted by admin in Newspaper archive Los Cabos on Feb 2nd, 2018 | Comments Off on Mobile Medical Unit, lent to Los Cabos local Government.